Some parts of Guidance feel a little familiar for Russian Circles, but it's still a document of a band operating at the peak of its powers. Russian Circles epitomize the economy of sound. The Chicago-based band consists of just three members: Mike Sullivan (guitars), Brian Cook (bass), and Dave Turncrantz (drums). Most Russian Circles songs consist of multiple guitar parts, but both on album and in a live setting, it is up to Sullivan and his expertly honed looping pedal to project all of those parts in perfect precision. Turncrantz is in the upper tier of working drummers -- irrespective of genre -- but his kit is not decked out with the extensive bells and whistles that so often accompany the kits of metal drummers. Cook's rumbly basslines are instantly identifiable, yet he avoids turning them into a trope, instead finding ways to make them usable in both crunchy metal songs and quiet, meditative instrumental landscapes. Russian Circles is made up only of three men wielding three instruments (or four, when Cook occasionally uses a baritone guitar), but the collective sounds they make could move mountains. 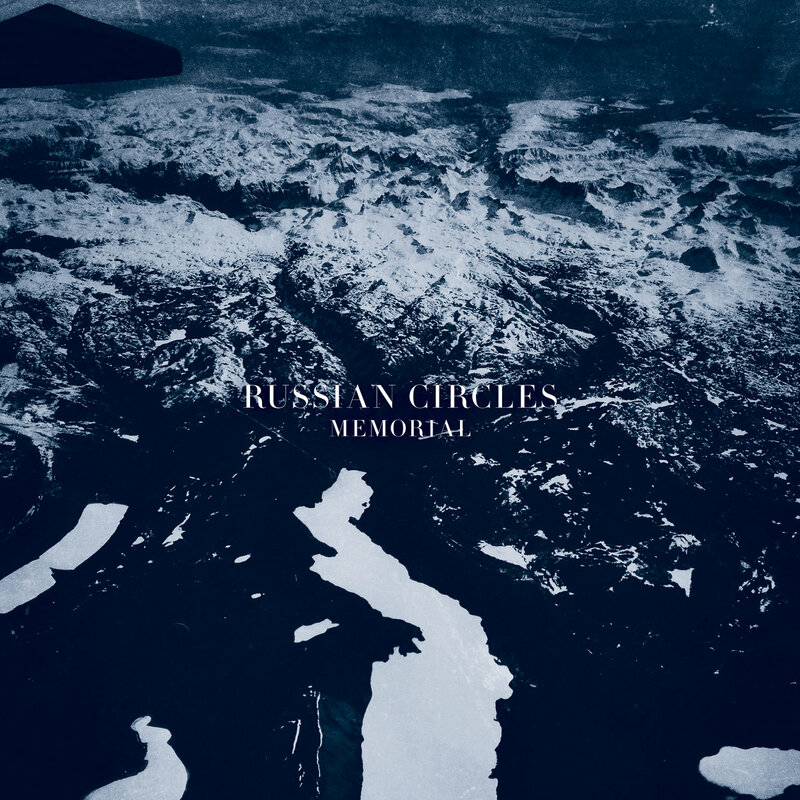 One Twitter user wasn't simply joking when he said of the band's 2013 album Memorial, "Spun new Russian Circles walking to work & feel like conducted WWII air raid, lost friend, got married, studied Tai Chi, gave a people hope." Memorial is as hyperbolically kaleidoscopic as that string of imagined events lets on. Russian Circles are a rare case wherein each one of their albums is a clear, ascending step to the next. Memorial, the trio's fifth studio LP, is a peak that few other bands in the instrumental metal genre have achieved. This is a considerable feat when one takes into account the album that preceded Memorial, 2011's Empros, is an difficult album to best. Memorial doesn't oust Empros by leaps and bounds, but it does surpass and cement that record's achievement, in the process affirming Russian Circles' status as the masters of the instrumental metal form. The enormity of Memorial's success leads to a daunting question: "Where do they go from here?" 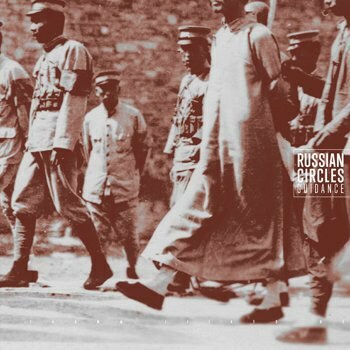 Russian Circles would have been well within their rights to call it quits; the five LPs they released into the world between 2006 and 2013 are of a rare caliber, one that any artist or band would be correct to envy. Yet since 2009's Geneva, the trio has released an album every two years. That gap is now slightly elongated with Guidance, the band's sixth studio outing, which is being released three years after Memorial. Having achieved the prized view from the mountaintop – quite literally in the case of Memorial, given the aerial view of a mountain range on its sleeve art – Russian Circles have to find a way to keep challenging themselves. The first three tracks on Guidance find the band living up to its reputation. Like the tension-filled and teasing "Campaign", which begins Russian Circles' astounding sophomore LP Station, Guidance opener "Asa" is a study in misleading expectations, an all-important skill in instrumental genres like post-rock and post-metal. If there's one major flaw that can be found in the scores of Explosions in the Sky imitators, it's that the thrill of a crescendo is too often rendered rote. Bad post-rock or post-metal is defined by how quickly one can anticipate a build-up. "Asa", driven by clean guitar arpeggios, tricks the listener with moments where things might pick up, where Turncrantz's percussion might come in, but neither of those things happen. Sullivan quietly picks his chords, undoubtedly foreshadowing the storm ahead but building up as much tension as possible in the meantime. The promise of a sonic maelstrom that lingers in the chord changes of "Asa" is realized in the one-two punch of "Vorel" and "Mota", which already feel like Russian Circles classics. "Vorel" begins with a militaristic atmosphere propelled by rapid hits on the snare by Turncrantz and tremolo picking by Sullivan, which eventually culminates in a death march riff as only Russian Circles could write it. Here the influence of Converge guitarist Kurt Ballou, who produced Guidance, is acutely felt. "Mota" answers the gritty "Vorel" with a palm-muted guitar figure that pops like fireworks crackling against a night sky, until eventually coming to a thunderous, distorted close. Turncrantz and Cook, the most underrated rhythm section alive, are a strong rudder guiding these songs throughout the tumult that defines them. The stretch of "Asa" to "Mota" is a reminder of what this trio does, and that nobody does it better. This makes the succeeding three tunes -- "Afrika", "Overboard", and "Calla" -- a bit of a disappointment. Some exceptional drumming from Turncrantz notwithstanding, the melody in "Afrika" never really takes off. The production on "Overboard" follows the same spacey, echoey model of Memorial's title cut, and feels less interesting than it could be for doing so. "Calla" is a rare case where repetition doesn't do the band well; the main repeated riff doesn't feel interesting enough to carry the song. Guidance does end resoundingly with the funeral doom-inspired "Lisboa", whose jazzy drums in the first section are sledgehammered by Sullivan, bringing the song and the album home with earth-rumbling strums. Still, the midsection of the LP feels familiar, the sound of a group stepping over its tracks. What is "familiar" in the context of Russian Circles is still several classes above the many B-grade post-metal outfits out there. This is a band operating at the peak of its powers, and when Guidance hits, it hits hard. When the album stumbles it is not because the band is no longer trying, but rather because they like any other great band have a lofty challenge in trying to build upon an intricately crafted sound. Guidance has parts where Russian Circles deliver on the promise of their astounding career, and instances where one is reminded of their greatest hits. The latter may be less appealing to those acquainted with the Russian Circles discography, but the former is still a thing to behold. "Asa" bleeding into the bustling "Vorel", "Lisboa" bursting open in a glorious dynamic swell: these moments that remind us that in the music of Russian Circles, a note is worth a thousand images.